Renault have a fairly complex security procedure for programming new keys. 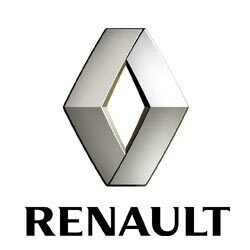 The normal process requires a key to be ordered from Renault in France and then programmed using specialist equipment with a revolving code which is obtained from Renault's server. Whilst this is a very secure system, it does not make it easy for the consumer who has lost their key and requires an urgent replacement. Luckily for you we have developed a way in which we can use keys from our stock and program them on the same day. No waiting weeks for the key to come from France! 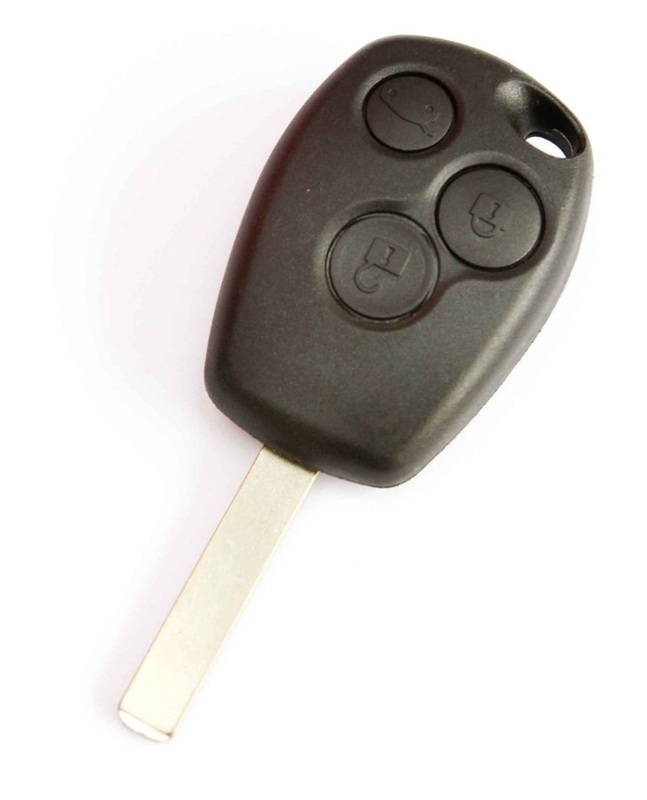 2 or 3 button remote key for your Renault. Supplied, cut and programmed at the vehicle. Offered with a 12 month warranty against electronic failure. 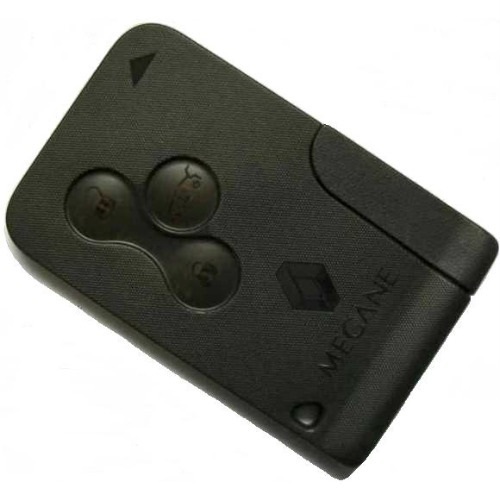 3 button remote key car for your Renault Megane / Scenic. Supplied, cut and programmed at the vehicle. Offered with a 12 month warranty against electronic failure. 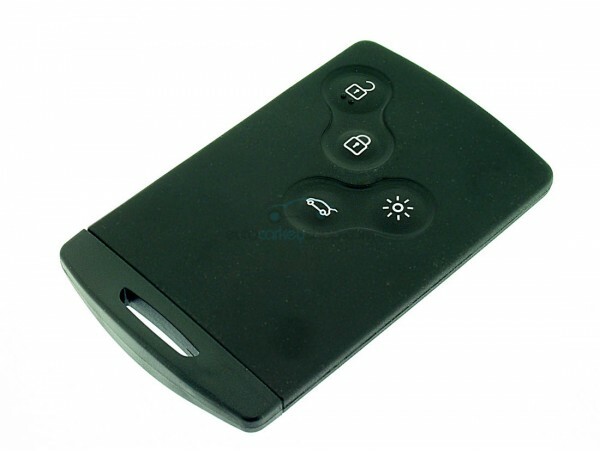 3 button flip remote key for your Renault. Supplied, cut and programmed at the vehicle. Offered with a 12 month warranty against electronic failure.